Looking for a fun way to spice up the work day? How about a custom mouse pad that compliments your personality and style? Choose your favorite photos and display them on your own collage on top of our variety of designer inspired backgrounds. 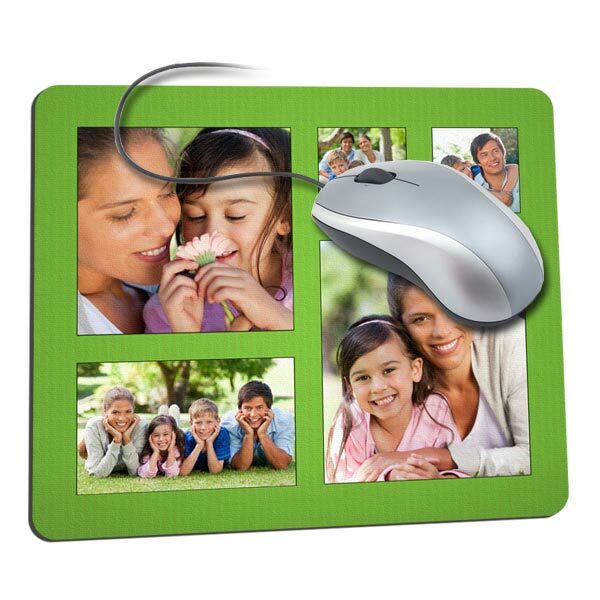 We offer several photo layouts and you can even add personalized text to make your mouse pad your own. If you’re looking for cheap photo gifts for family and friends, our custom mouse pads are a great idea for anyone with an office job. Pair one with our custom desk plaque or our custom laptop sleeve for a unique office set that everyone will love!